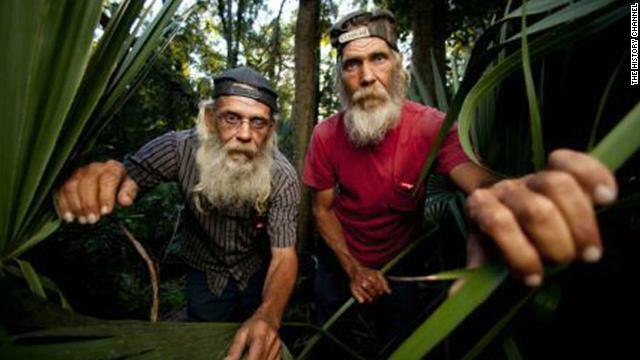 The show centers on the lives of a group of Cajun alligator hunters in Louisiana's Atchafalaya Swamp, and Guist and his brother Glenn were popular cast mates on the series. A planned Swamp Fest on Saturday in Lucedale, Mississippi, will feature two other cast members, Troy and Jacob Landry. Shelton Echols, corporate service manager for Farmers Supply Co., who are organizers of the festival, said there are still discussions as to whether there will be recognition of Guist at the event. "At this point, we really haven't been able to process it," Echols said. "It's all just happened." Autopsy results for Guist are expected on Wednesday. I am learning of this soooo late and just saw the episode of Glenn and the headstone. Does anyone know if there is a third party that is taking sympathy cards of care packages from the fans???? email me if you know. appreciate it. Would love to send Glen some goodies from our part of the country. The History Channel cried when 'wolf' when it air its show on. The show began on a very dire note with implication that Nostradamus and very old messages predict the 'end of the world. Images of devastation, floods, disease, wars, environmental disaster and social chaos flooded the screen. If you only watched the first 90 minutes, my guess is you may have been persuaded that the "End Times" are upon us and that there is little hope for the endurance of the variety. First of all I love the cajun people because of their love for family, Glen & Mitchells dedication to one another is a living example of this. Please keep this wonderful program on the air. Bill Towry Nashville,Tn. That sounds like a wonderful idea. He will be missed. We looked forward to the show every week and seeing the brothers. I hope in time we will continue to see his sweet brother on the show from time to time. One thing is going to stay with us always, the lessons of humility these two brothers give to the world every single time they appear on the show. God bless this family and give them strenght to go on. And to the history channel keep the other brother in the show. nicely said Alex - the brothers were simply unpretentious, nice people who lived simply but were anything but simple - it takes real smarts to live off the land they and others like them do. I love the brothers and could really see how much they loved each other! they are people i would love to sit on the porch with, and just listen to their stories i am deeply sorry on this loss and i hope glenn continues with the show whenever he is ready god bless glenn and all the family he was loved by many fans! We will miss him very much. We loved they way that things never got him excited. We want to send our sincere condolenses to his family. We feel he added a great side to the show really showing what some of us would like to do "live off the land" but scared to. We hope Glen will continue to be on the show. Again we want to express our deepest sympathies to the family.My God bless him. We are so sorry for your loss, we always enjoyed the brothers and their bond. There aren't a lot of people in this world who get to live life exactly like they want to and they seemed to be doing it. My first thought was how much his brother will miss him. Love the show and feel like we know these good folks personally. I would like to see the history channel help Glenn get some medical tests and make sure he stays around for a while.I love his smile and his laugh but more important his love and respect for the swamp. Yes,. Yes, it may have been food poIsoning. He ate 2 day old shrimp. She was a nasty one. My condolences to his family and his friends. Do you think it was food poisoning? TO THE GUIEST FAMILY MY DEEPEST SYMPATHIES I REALLY ENJOYED WATCHING MITCHELL ON SWAMP PEOPLE.I THOUGHT THAT HE ADDED A GREAT DEAL TO THE SHOW.I HOPE THAT GLEN WILL STILL BE DOING THE SHOW.AGAIN MY CONDOLENSES ON YOUR TRAGIC LOSS. I agree with you. He will be missed.